Additionally, Project Management Principles & Controls include managing the inevitable conflicts and changes that arise during a project – Conflict Management and Change Control. A weak Risk Management focus by the Project Manager is often a primary cause for project failure. As a Project Manager, you must anticipate, plan, track, resolve, and monitor ALL project issues and risks. On the Project Planning page, we briefly discussed the need to include a qualified and quantified Risk Management Plan within your Project Management Plan, as an overall project tracking approach. During the Planning phase, you should identify and record all of the anticipated project risks, then establish a plan to address each anticipated risk. A major part of effective project management principles and controls is managing and mitigating, according to the Project Plan, the inevitable project risks that will occur. Project Management Principles & Controls will provide the processes and approach to ensure effective project management tracking and risk management. A disciplined rigorous project Risk Management approach, applied as part of the Project Management Principles & Controls process, is fundamental to a successful Execution phase. Return to the Project Planning page to review the initial Risk Planning steps. During the Project Planning phase you identify project risks as you develop the project scope, schedule, and budget. You will then analyze the identified risks (see a subsequent page for more details on qualitative and quantitative risk analysis) and establish a Risk Management Plan (which will be part of the Project Plan document). Finally, a Risk Response Plan will specify the identified risk, effect on the project, risk owners and assigned responsibilities, specific actions, budget, contingencies/fall-back plans, and agreed responses for each risk. The Risk Response “Plan” may simply be a spreadsheet (sometimes called a “Risk Register”) showing the tactical approach to the anticipated risks. You will use this Risk Register to anticipate and and work through risks during Project Execution, as part of your Project Management Principles & Controls approach. As an integral part of Project Management Principles & Controls (essentially “Controlling a Stage – CS” under PRINCE2®) you, the PM, will be monitoring the occurrence of the identified risks, observing the occurrence of any residual risks, and identifying new risks. Your project management tracking activities will also be monitoring the project risk to determine if the responses to risk have been implemented as planned; and whether the risk responses (if implemented as planned) have been effective. The details of risk management planning, risk response planning, and risk monitoring will be discussed in a subsequent page, and linked back to this Project Management Principles & Controls page. Your Project Management Principles & Controls processes must include the Earned Value (EV) method, or some other documented formulas, metrics, and approach to measure project progress. EV provides an easy, consistent, pragmatic approach to measuring progress and performance and overall project tracking. Typical accounting methods which observe two variables – actual cost and budgeted cost – don’t take the project schedule into account. Measuring project progress, based on the EV method, essentially provides a Cost Variance (the difference between budgeted cost and actual cost) and a Schedule Variance (the difference between the planned work to be accomplished to that point in the schedule and the actual work performed up to that point). Under EV, cost and schedule has a common denominator, which is monetary; even the schedule variance is calculated monetarily. During your project management principles and controls exercises, if your variances are negative, you have paid too much and/or are behind schedule. If the variances are positive, you have under-paid and/or are ahead of schedule. I will go into considerable detail, with examples, on the use of Earned Value on a subsequent page, and link it back to this Project Management Principles & Controls page. Obtain an upfront agreement on the use of EV with your Project Sponsor and “customer”. Agree to the baseline of the schedule, budget, and the EV calculation methods. Agree to either use the project communication plan for releasing EV calculations on project progress, or revise the communications plan. Determine and agree to which Work Products will be measured for progress and how often (make sure this information is included in the Communication Plan). Agree to the corrective action that will be taken, based on the thresholds triggered and the results of the EV calculations. REMEMBER, the purpose of using the EV method to collect, calculate, and report progress is to get early warning signals so that you, as the PM, can institute corrective actions. The EV method for determining project progress also enables you to forecast the work and cost to complete the Work Product for which you are measuring the progress. As the PM, your primary goal in forecasting is to determine whether you will be able to meet your project cost and schedule objectives. These are several simple calculations which may be graphed for ease of presentation. Click here or on the “project file” icon below for access to a .zip file containing Earned Value Analysis worksheet and graphs, in MS-Excel. I have found this tool very useful on my projects. On a subsequent page, linked to this Project Management Principles & Controls page, I will go into detail on the formulas for the EV progress and forecasting calculations. At this point, simply use the spreadsheets contained in the .zip file linked above. Use of the EV progress and forecasting calculations, as part of Project Management Principles & Controls, will provide more complete, substantiated progress reports (as distributed according to your Project Communications Plan). As the PM, you should focus your efforts on those Work Products that need corrective action, because their variance calculations are outside the agreed to thresholds – management by exception. In addition, there are software applications which will provide the EV calculations. If your time is constrained, I recommend searching out these applications and selecting one to assist you in measuring project progress and forecasting results. Implement and enforce the use of the Change Control system/processes, during the Execution phase. Make sure to include your change control process – specific, standardized steps for evaluating and approving change – as part of your Project Management Plan document. 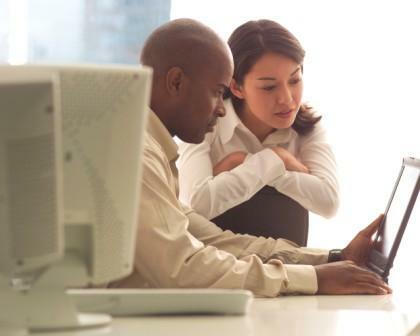 Authorizations from the Project Manager, the Customer, and the Project Sponsor (under PRINCE2®, you should obtain written approval on all Change Requests from the Project Board). Approval to incorporate the change into the project scope, schedule, and budget is the first step. As PM, your key responsibility with respect to the approved change is making sure the work it represents is completed. You will need to revise your WBS, your Project Schedule, and Project Scope documents. In addition, you must ensure the appropriate resources are focused on performing the work approved to implement the change. Finally, as part of your Project Management Principles & Controls processes, you must track and measure the performance of implementing the change. Go to the Project Q&A page and request a copy of a Change Management Process document I have used on several projects. 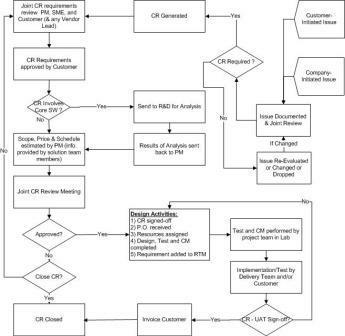 It includes a defined approval process and Change Request form, and is aligned with the process flow shown below. As part of Project Management Principles & Controls, and in addition to Managing Risk, Measuring Progress, and Managing Change, the PM will also manage the conflicts that arise during a project. Since conflicts may occur on any project, the PM must be able to manage the people, priorities, and issues – the three main sources of conflicts. Remember, conflicts are more apt to arise early in the project’s lifecycle. Also, remember that even though conflicts are inevitable in a project environment, they do not have to have destructive consequences. 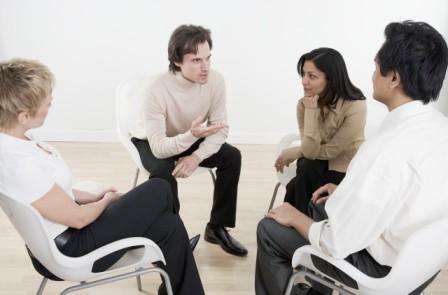 If you, as a practicing PM, ever feel deficient in the area of conflict management and resolution, I highly recommend taking a training course which will cover all areas of identifying and resolving conflicts. Myers-Briggs types of personality recognition training are also good for managing and resolving conflict between team members. As a brief overview, you should begin (during the Project Initiation phase) with a good understanding of the members of your project team, the project stakeholders, and anyone else that will be an integral part of the project. Perhaps a team building exercise around personality recognition will give each team member insight into how to best work with the other members of the team. Most sources of information on the subject recognize up to five (5) different approaches or “styles” of resolving the conflict. As the PM and project leader, it is up to you to determine the appropriate approach to resolving each conflict – they are all different and each will need a different approach to resolution. Avoiding -- Although this seems to be the easiest approach; simply leaving the situation or issue that is the source of the conflict, it does NOT resolve the issue – the issue is still there. This approach does allow both sides of the conflict to withdraw and “save face” by declaring a win. However, as the PM, you have only postponed having to directly resolve the issue – more than likely it will lead to another conflict. Use this approach if the issue is of low importance to your project or if you simply want to buy time and then approach the issue in a different way. Competing -- Although I recommend against this approach because of its “win-lose” nature, especially if the sides have to continue to work together, it is the most aggressive approach to resolving the conflict. Essentially, as the PM you allow for each side to compete for the “win”. You declare a “winner” and a “loser” with little or no concern for the feelings of either side. Use this approach if you must take quick action on a serious issue or if you have to make an unpopular decision. Accommodating -- Again, an aggressive approach with the objective to move forward at any cost. In this approach, one side “gives in” and the other side is allowed to win. Although a bit softer than the “Competing” approach, it is not productive since the side that “gives-in” will harbor resentment, which is likely lead to additional conflicts. Use this approach when the issue is of low importance and the relationships are very important. This approach will keep the peace and create goodwill, because all sides get what they want (except you forgo your concerns and needs). Compromising -- This is the “bargaining” approach – each side gives a little and gets a little. As the PM, your leadership skills are critical under this approach. You must facilitate the trade-offs each side agrees to, so that each side feels that they have a win and haven’t given too much. Use this approach when the issue is of moderate importance and both sides have roughly equal power and you have time constraints to resolve the conflict. Collaborating -- The most difficult approach in that it takes more time and requires your skill as a facilitator and mediator. The first step is for each side to face and acknowledge the issue, in detail. Both sides, with your assistance as PM, must then work together to resolve the issue. This is the only approach that has been proven to have consistent positive results for both sides to the conflict, as well as to the rest of the team. Use this approach whenever possible to gain commitment and improve relationships. Your responsibility as the PM is to plan for the occurrence of conflicts, recognize the occurrence of a conflict, decide how to best resolve the conflict, and facilitate the resolution. Return to Project Planning page to understand how proper planning sets the foundation for exceptional project performance. Go to Project Plan Execution to understand how tightly coupled Project Management Principles & Controls are with the Execution phase. Go to PM Process page for an overview of how the project phases (stages) compliment each other. From this Project Management Principles & Controls page, go here for a better understanding of the project phases, within the overall PM Body of Knowledge.